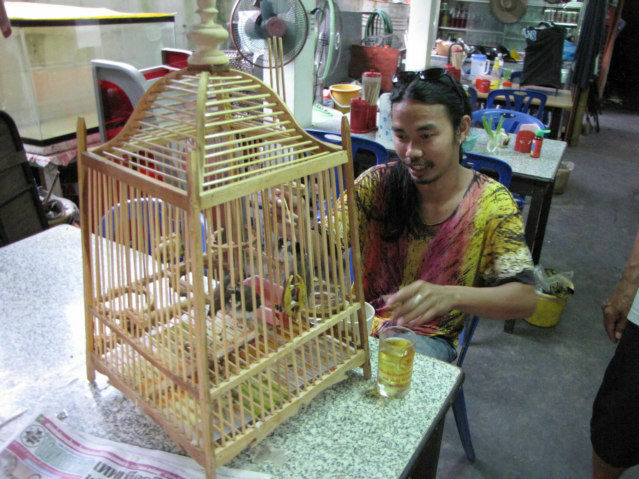 I found this man hand feeding a few birds in a cage; I was impressed by his patience and pension for detail. On a side street, behind a few building, inside a small restaurant, in a place where I had no reason to walk I found this man feeding birds. 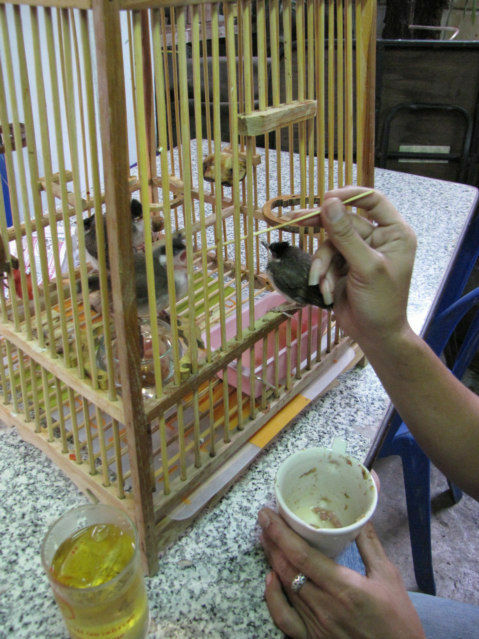 He was taking these small chopsticks and placing small portions of food into the beaks of birds. There is always a humane side to cultures, it always exist, it always shows itself, even when surrounded by great cruelty. Do not misunderstand, I do not think Thailand has an overdeveloped sense of humanity, I think this person was temporarily focused, he for sure did not say hello to me when I entered the door.